This is quite a cool book. It’s over 700 pages long, so it’s not a quick read. It flows well, though, making it a fairly easy read. The format is an interesting one. Basically they took interview quotes from various musicians to weave the story. Then they organized it (partly chronological, partly by genre). They included introductory and connecting paragraphs as needed to make the whole thing flow. It works quite well. Sure, there are parts that seem a little clunky, but overall this is quite successful. I love the photographs they included here. Many of them are new to me. As to the stories told by the musicians, some were quite familiar having been repeated many times over the years. Others were new to me. 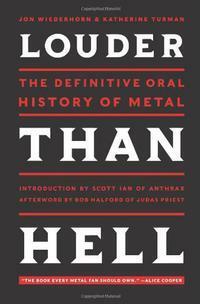 All in all, if you like heavy metal, this is a great experience. It’s highly recommended.